Heartache. Betrayal. Forgiveness. Redemption...It's time to head back to Magdalena, New York, and spend a little time with the people we love to love and even a few we love to hate. A lot has happened since leaving town in A Family Affair: Winter! Bree Kinkaid is dealing with heartache and betrayal the only way she can - denial. Her friends can't help her, she won't listen to her parents, and she rejects offerings of support and sympathy from the town as she attempts to hold onto that magical life she wanted. But when a stranger shows up at Bree's doorstep with information about her husband, she can't pretend any longer. And in case you were wondering what happened to Gloria Blacksworth's notebook, it's still resting in Nate Desantro's desk drawer...but not for long. Gloria might be dead, but the notebook continues to leak distrust and ill will into the community, and someone's got to stop it! There might be only one person in town equipped for the job - any guesses? Grant Richot sprinted through life, a boy wonder with talent, intelligence, confidence, and charm. He never doubted the world awaited him, just as he never doubted the right woman would come into his life - but only when he was ready for her. Anyone before that was simply preparation for the one. 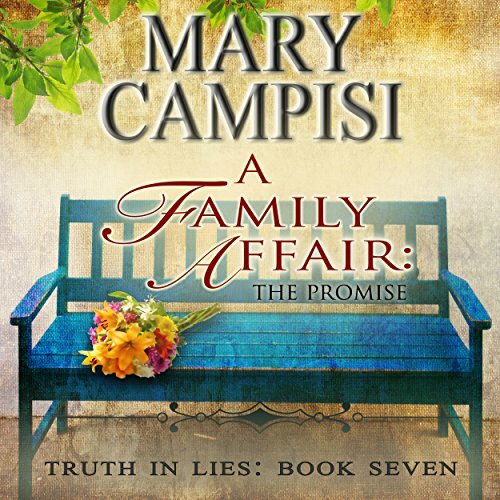 I love Mary Campisi books of second chances! The only thing I did not like about the book was the narration. The change of the voices seemed unnatural. I would have preferred it read in the same voice. For me, the voices of the characters come to life as I read or listen to the story. This narration kind of took away from that.